Part 4 in my networking series is by Tom Dezell. He explains how networking fits into the bigger picture of your job search and the employer’s hiring process. If this article doesn’t turn you into a “networking convert,” I don’t know what will! A big reason job seekers struggle to network comes from the fact that most people don’t have to network, or engage in any job search or hiring-related activity, until they need to look for a job. Since most of us hate the process of looking for a job, once we find one, we cease any job search related activity, including networking. With this in mind it’s no surprise that few job seekers develop an understanding about how the hiring process works and why networking continuously ranks as the most effective job search method. They fail to grasp how much networking benefits both the candidate and employer. Few job seekers understand that for an employer, listing an open job is one of the last, if not the final, strategies they will use to fill a position. They would much rather fill the opening with candidates the hiring manager or employees already know. This is why so many companies offer cash incentives to employees who refer candidates that are hired. Another factor many fail to consider is the plight of smaller companies. Posting an opening on a job site today will easily result in the employer receiving several hundred résumés. For a company too small to support a Human Resource Department, just processing such a response would prove overwhelming. A much better option for them is to fill the job with someone they know. The Small Business Administration reports that over the past decade 60-80% of all new jobs in the U.S. have been created in small businesses. Networking may be the only way to discover such openings before they are filled. 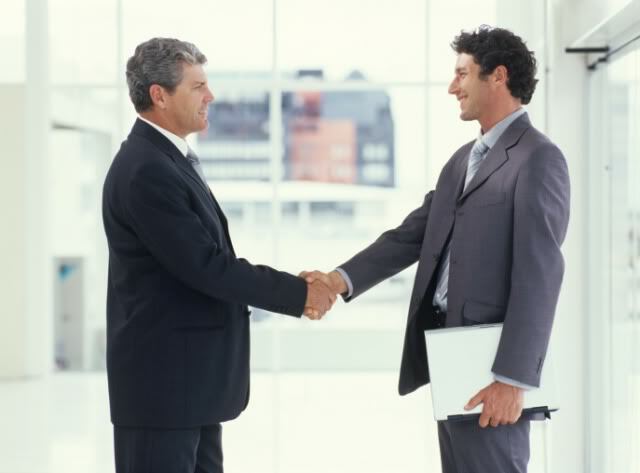 Additionally, many job seekers don’t realize how networking can make them better candidates for positions. The more people you speak to that know a company, its hiring manager and employees, the better an understanding you can get about what particular needs each has when trying to fill a position. Contacts can give you insights as to new projects or contracts the employer just began, particular traits successful employees have or other information that can help a candidate prepare her résumé or script a job interview. Speaking to the needs and interests of a hiring manager as quickly as possible will go a long way toward getting her to like you. The more she likes you, the better the chances of receiving an offer. Sadly, even job seekers that discover the power of networking and use it to land a new job make the same mistake after starting the job. They fail to understand that networking is about building and maintaining ongoing relationships that benefit both parties. Continue to exchange information with the contacts you developed while searching for a job and keep adding new people to your contact lists. In your mind, you may have incredible gratitude to the individual that linked you to your new employer. Well, the best ‘repayment’ you can give will be to assist another individual in a job search. Maybe then you can experience the joy of referring them to their next job. One last thing to consider about continuing to nurture your network. The average tenures of jobs in the U.S. remain at just over four years. I advise people to estimate how many years they hope to work for the rest of their career. Divide that number by four and you’ll have an estimate of how many more times you will likely need to look for a job. Having an established network will make subsequent searches easier. Tom Dezell is the author of Networking for the Novice, Nervous or Naïve Job Seeker. He has more than 25 years experience in career services, working with clients ranging from convicted felons to C-level executives. His web site is www.yournetworkingguide.com. Thanks Ilona and Tom. I also think that giving and caring about others are very important. Being service-oriented is a valuable skill for networking, but also for marketing, entrepreneurship, … as we first think about others needs and desires. Furthermore, ongoing meetups are opportunities to get more insights and potential projects/partnerships could be talked. I use to take the hiring process as a B2B “long” sales cycle. Networking gets us at the very beginning of this. Social media is good way to stay in touch with direct contacts and to share content on a regular basis. How should it be used to network even more effectively? Hi Lilian – nice seeing you here and thanks for commenting! I agree 100% about giving – it’s a 2-way street for sure. About networking using social media: there’s different ways of doing this – too much to cover here. I’ll write a separate blog post on this topic, ok? Social Networking makes staying in touch and keeping up with any changes in contacts status. Foe example on LinkedIn you get regular updates on any changes your connections make on their profile regarding jobs, activities etc. Get in the habit of sending notes whenever someone reports good news. When you join groups, answer discussion questions when you can provide helpful information. It was my response to a discussion that lead Ilona to invite me as a guest blogger! It is extremely important that you keep your information on people you meet in a contact program. You may not need the info now, but you might later. People appreciate you if you pass on names and phone numbers that might be very helpful to them. It is NEVER to late to call someone up and reconnect. Very true! I’ve also been asked to guest blog in different places as a direct result of online networking – mainly through Twitter. Thank you for commenting and providing a great reminder for all! I agree that you can always rekindle a connection. Of course it’s preferable to nurture your contacts, but we all have people in the periphery of our network we haven’t spoken to for years. As I always tell my clients: The worst that could happen when you reach out to them is that they don’t respond. At least you tried.